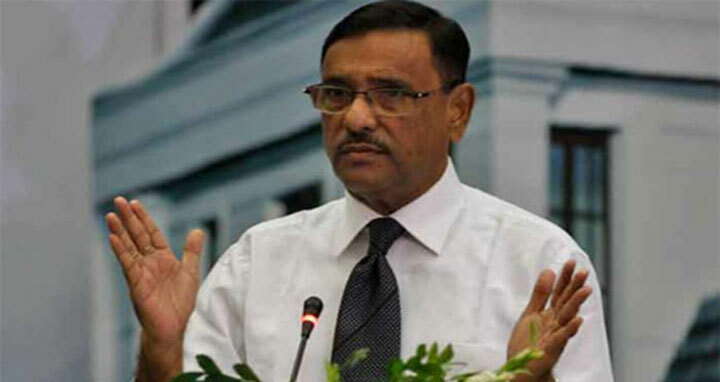 Dhaka, 1 July, Abnews: Awami League general secretary and Road Transport and Bridges Minister Obaidul Quader on Sunday said although the militants have become weak, they have not been eliminated yet. The minister came up with the remark while talking to reporters after an Awami League delegation, led by him, paid their tributes to those who lost their lives in the Gulshan Holey Artisan Café terror attack on July 1, 2016. Representatives from various political parties, diplomatic missions, police and Rapid Action Battalion (Rab) paid their respect to the café attack victims at the site of the Gulshan café attack on Sunday. “Actions were taken immediately after the incident. We’ve been able to weaken the network of militants with the help of law enforcement agencies. The chargesheet in the café attack case will be submitted within this week,” he added.